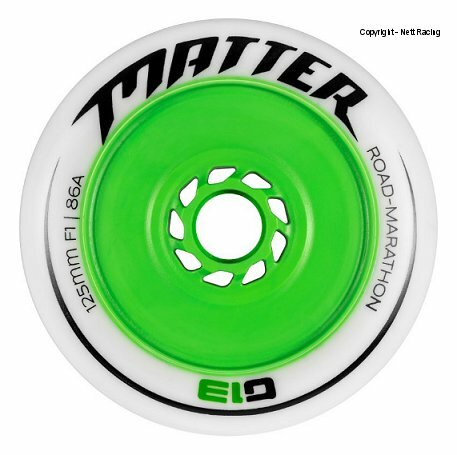 Matter's most famous racing wheel is our G13 wheel. After 13 generations of testing, the G13 was born and is the most developed racing wheel in the history of speed skating. There is a major focus on road and marathon events, but in reality, the G13 is a multi-purpose wheel which can be used also in many track racing situations. The 125mm uses the thin wheel profile for maximum rolling speed. This wheel is perfect for fast and flat marathon events.